TBI's Emily Ball and Bryan Reynolds deliver February Channel News. Spectrum now offers a fully managed, all-inclusive voice and UC service. The solution is ideal for single- or multi-site businesses with 25-1,000 employees. Hypercore released a new product, franchisecore. Franchisecore provides set bandwidth pricing to multiple locations that have 100 sites or more. 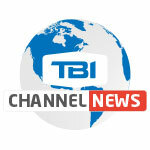 Keep up with the latest videos from TBI. Subscribe to our YouTube Channel.